If you love making your own homemade Pizza, today we show you how you can make your own Homemade Pizza Sauce. You will never buy store bought again. Every Saturday Night, we have our own Pizza night. We bought ourselves a countertop Pizza Oven and the results are truly delicious. It is now a tradition in our home. We use the 2 ingredient Pizza Dough or even Flat Bread and get perfect results every single time. 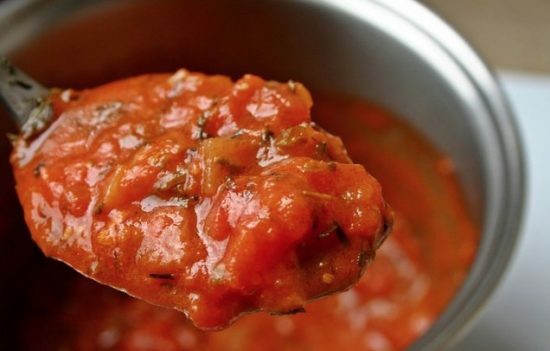 Today, we are so excited to share how to make your own Homemade Pizza Sauce. Chef John’s Pizza Sauce makes about 3 cups. Here’s what you need. As mentioned earlier, we are sharing Chef John’s legendary recipe and you will be able to mix it up with your own flavors. Want more? Be sure to check out our post that shows you how to make your own Homemade Tomato Ketchup.